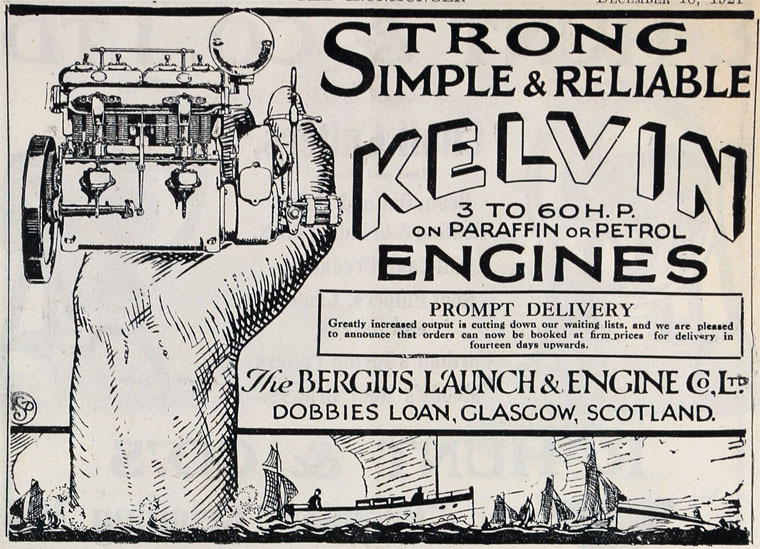 Bergius Launch and Engine Co Ltd., of Dobbies Loan, Glasgow, Boat engine maker. 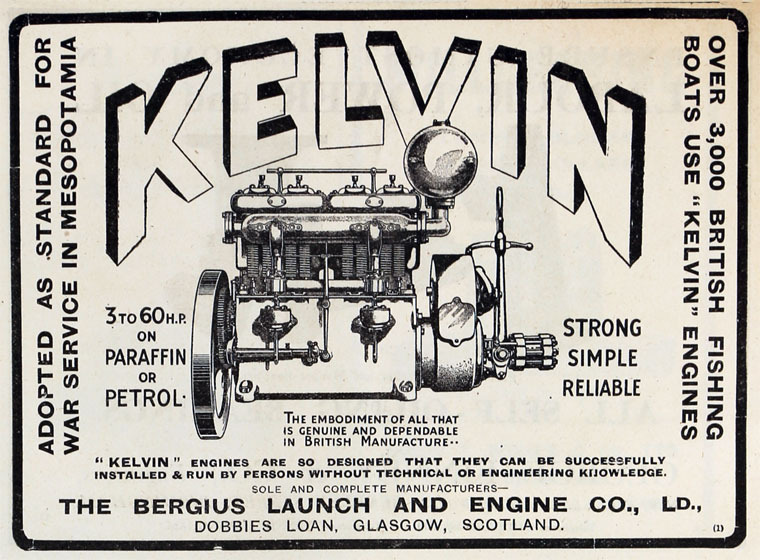 1913-1917 For a list of the models and prices of Marine Motors see the 1917 Red Book under Kelvin name. This page was last edited on 21 March 2018, at 10:44.